1. HAULS = THE ULTIMATE BIG BOOTY or LIVING VICARIOUSLY THROUGH OTHER PEOPLE'S PISS POOR SPENDING HABITS. 3. Hoarding makeup boxes. You really think I'd be heartless enough to throw away gorgeous pieces of cardboard?? NO, I KEEP THEM LOCKED UP INSIDE AN EVEN LARGER CARDBOARD BOX. CARDBOARD BOX CANNIBALISM (because they be eating other boxes, ya see). 4. 50 SHADES OF PINK. "IT'S NOT THE SAME!!! THIS SHADE IS EVER SO SLIGHTLY MORE MAJESTICAL AND OF UTMOST IMPORTANCE IN MY STASH." 5. There's a 'regularly used makeup' section, and then there's the rest of the stash aka the makeup graveyard. Sure, you cycle/rotate through products sometimes, but deep down, you know who your true favourites are. 6. "You should probably throw out some stuff". I SHOULD PROBABLY THROW YOU OUT. 7. 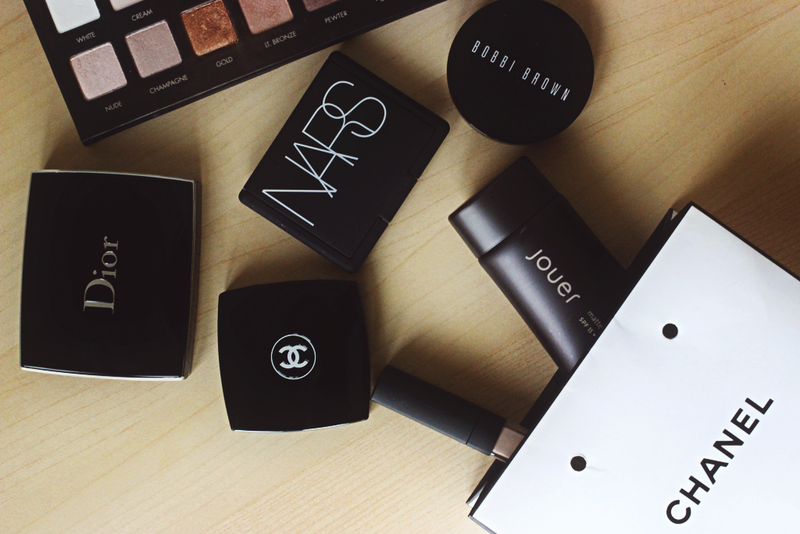 You've got a drawer devoted to makeup. Or, for you crazy people, drawers. Or, for you even crazier people, a room. IT'S LIKE A MINIATURE SEPHORA/ULTA IN YOUR ROOM! 8. Annnnnnd, your makeup collection is enough to last you several lifetimes, as well as your families'/friends' lifetimes. Now that's what I call planning for your future! I figured instead of moaning about how large my makeup stash is and how I'll be unable to use up everything in my lifetime, I thought it would be more hilarious to poke fun at how much makeup most of us are buying and potentially not using up. Now if you'll excuse me, I need to slather on enough night cream for me to look I'm 15 years old again....THIS IS NOT THE REALITY I WANTED.